Dresden is the capital of the federal state Saxony and known as the Florence of the Elbe since many Italian style buildings are found throughout the city. 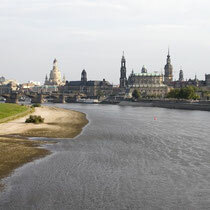 Furthermore, Dresden is an important centre for science and is home to many researchers. The city is also called the "Silicon Valley of Germany" since numerous computer hardware and hi-tech development companies have opened offices and research facilities in the region. The Dresden University of Technology is one of the world's oldest technical universities. 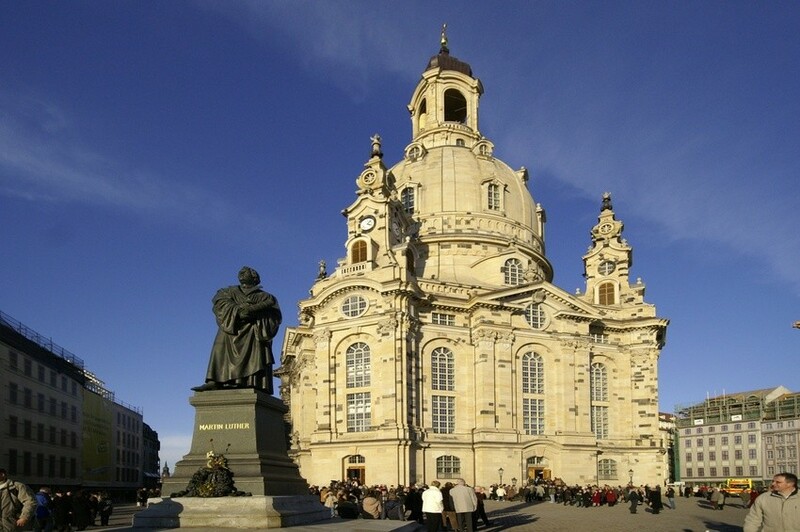 Having a long history as royal residence, Dresden can offer many historical attractions even after the bombing of World War II. The Semper Opera House and Royal Palace as well as many other historical monuments and ensembles determine the image of the city. No book about the history of architecture misses mentioning the Dresden Zwinger. It was originally designed as an orangery and setting for court festivities. A visit by night is also very much recommended. 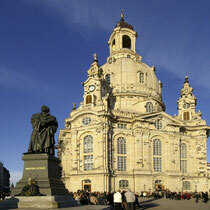 But the most famous symbol is the Dresden Frauenkirche, the magnificent baroque dome, which dominates the city centre. The church was originally built in 1726-43, destroyed in 1945 and remained as a war memorial in the ruined condition for several decades. After Germany’s reunification the reconstruction was a project with worldwide attention which succeeded with the reopening in 2005. The Semper Opera was built in 1838-41 by Gottfried Semper. 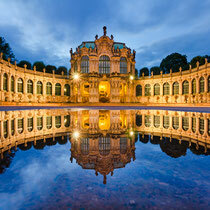 Music enthusiasts all over the world are familiar with Dresden. 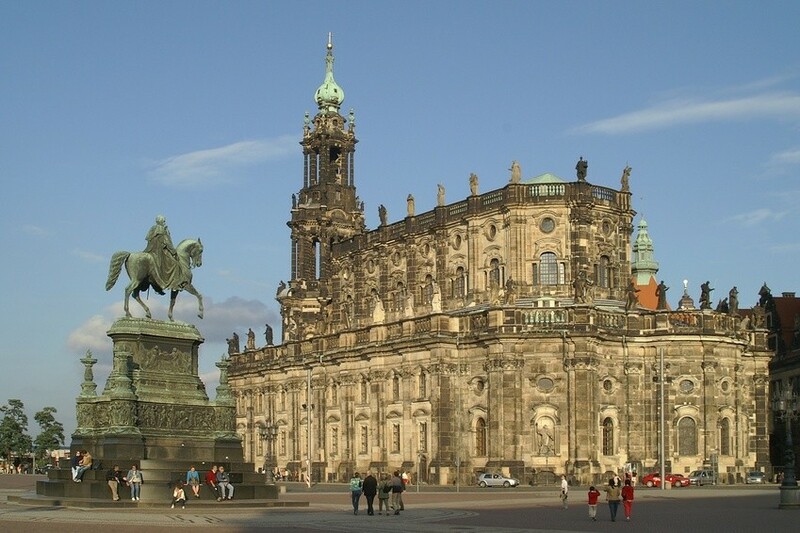 This is due to the guest performances by the Dresden Philharmonic Orchestra and the Sächsische Staatskapelle working at the famous Semper Opera House, the Dresdner Kreuzchor and Dresdner Kapellknaben choirs. 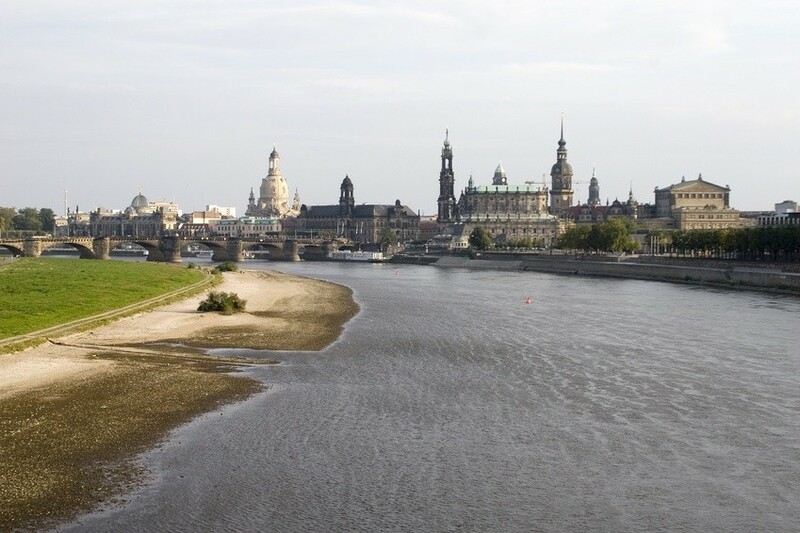 A perfect way to enjoy Dresden’s skyline is from the water in a historic steamer of the “Weisse Flotte”, which is the oldest and largest fleet of paddle steamers in the world. 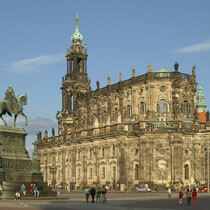 Such a panorama cruise is also a good start for a journey through the most beautiful landscapes of the Elbe valley. 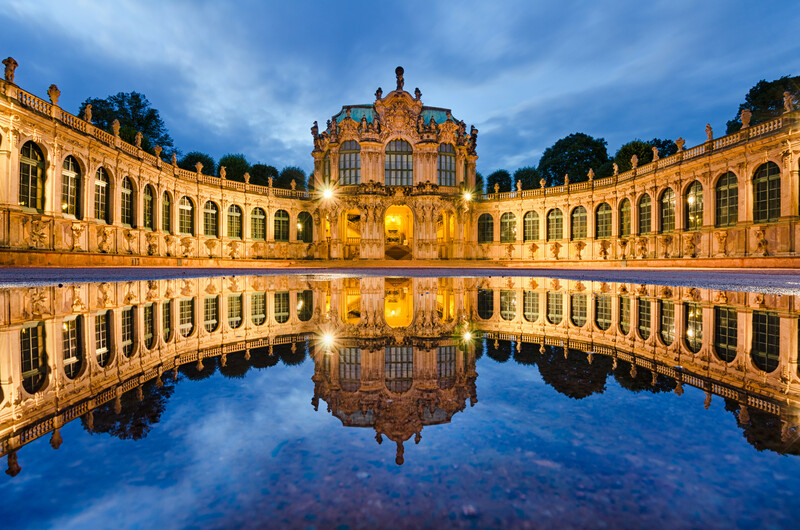 Near Dresden you will find romantically situated palaces and castles, such as Pillnitz and Gross-Sedlitz, or in the vineyards around Radebeul where you can enjoy the landscape and developed nature on walking tours. Meissen is the historical cradle of Saxony. The "crossed blue swords", the trademark for Meissen porcelain, are known all over the world. The Albrechtsburg Castle is considered to be the earliest example of a residential castle in Germany, while the adjoining cathedral is an impressive jewel of pure Gothic.